This month’s facilitator is Ms. Elizabeth B. Udquin. She is a graduate of Clinical Psychology at the Polytechnic University of the Philippines. A mother to two children on the spectrum, Cholo 6 year old and Tristan 8 year old. 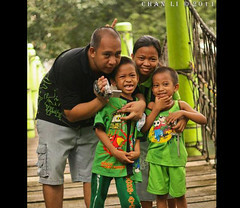 Stories of Mommy Beth and her family appeared on Manila Bulletin and UNTV Channel 37. Beth is a model mom who has been instrumental in providing free therapy and education support to the members of ASP UP CAMP Manila as the current chapter president. Beth is also a valued Trustee of ASP National.